Today, Facing Addiction joins the Ad Council and global media giant Viacom to launch “LISTEN”, a PSA campaign designed to add a new dimension to the deepening national conversation about drug and alcohol addiction as a public health epidemic, and empower those impacted by substance use disorders. The intent of the “LISTEN” campaign is different from previous PSA campaigns with its focus on the support systems of people affected by this crisis. “LISTEN” also addresses the issue of moral stigma attached to alcohol and other drug use. The act of informed, compassionate listening is emphasized and acknowledged on the campaign’s website, heretolisten.com. The “LISTEN” campaign along with our brand new Addiction Resource Hub provides top-notch information to help people start productive conversations with friends and loved ones who are among the more than 45 million Americans directly impacted by addiction. “The Ad Council, Viacom and the Surgeon General are taking unprecedented action to address what has become a leading cause of death for young people in America,” said Jim Hood, Co-Founder and CEO of Facing Addiction, who lost his own son to an overdose four years ago. 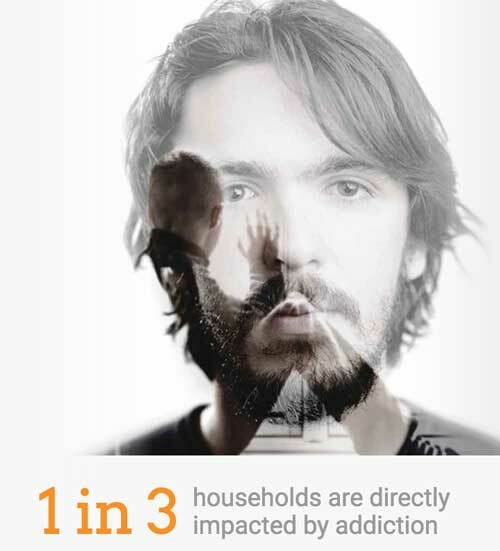 “As Facing Addiction works to bring together the best resources to save lives and support the 45 million Americans directly impacted by addiction, we realize that turning the tide on this crisis requires bold new action. Viacom Velocity, the company’s in-house creative content agency, produced the “LISTEN” campaign. It follows last November’s release of the first-ever Facing Addiction in America, The Surgeon General’s Report on Alcohol, Drugs, and Health. Facing Addiction was proud to co-present the report during a summit at Paramount Studios in Los Angeles. “Old strategies have not worked and will not work against this urgent health and human rights crisis. We are confident the Addiction Resource Hub, developed with our partner Transforming Youth Recovery, will quickly become a trusted place people can turn to for comprehensive, objective, not-for-profit, addiction help and solutions,” Hood said. The Ad Council will distribute the PSAs to media outlets nationwide this week. “LISTEN” will also run across Viacom’s networks.